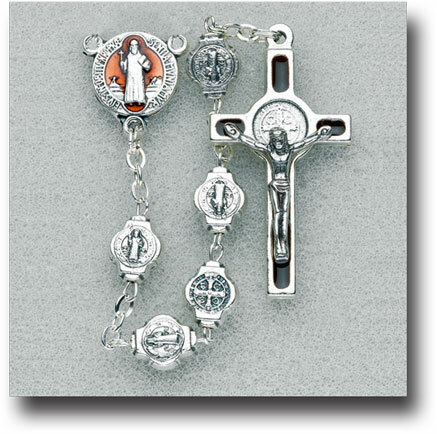 Each bead of this beautiful Italian all-metal rosary is a St Benedict medal! Cast in metal and silver finish. Devotion to St Benedict is commonly practiced to keep evil at bay, and to help with temperance / moderation. Along with the Miraculous Medal and the scapular, the St Benedict medal is one of the most powerful sacramentals of the Church. Here it is, united with the power of the rosary! 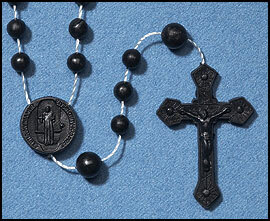 Stunning rosary - with beautiful velvet pouch.